The Berlin Airlift was the US, France, and Britain’s answer to the Berlin Blockade. 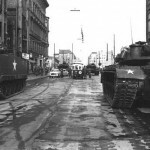 After the Berlin Blockade was imposed by the Soviets on 12th June 1948, the remaining allied forces were left with the problem of supplying West Berlin with food, fuel, and. The Soviets assumed that they would have to cede control of West Berlin. Instead, the US, British and French allies began to consider whether an airlift would be possible. 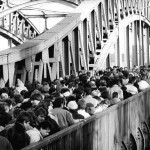 After the war, there was no formal arrangement with the Soviets regarding access to the road and rail network servicing West Berlin. And since there was no agreement, technically the Soviets were not going back on their words when they restricted road and rail access with the blokade. However, after the war, formal agreements had in fact been put in place with the Soviets with respect to dedicated access to West Berlin via 20km wide air corridors. The proposal was to fly all supplies in via these air corridors. The Soviets could not legitimately claim that cargo supply planes were a military threat, and so if it shot any down, it would in effect be renaging on its post-war agreements, and would effectively be starting another War. 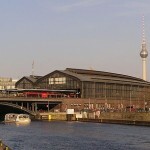 After a shaky start, with a number of accidents, and much inefficiency, the airlift eventually managed to reach the 5000 tonnes per day capacity required to keep West Berlin running. However, coming into the winter of 1948, the required supply capacity increased to 6000 tonnes per day. The increase reflected the extra coal required to heat the city during the winter months. The commander of the operation, Major General William H. Tunner, was dedicated to improving efficieny and supply rates. At its peak, between 15 April and 16th April 1949, the operation delivered 12,941 tonnes in 1383 flights. After this, the daily tonnage increased to 8,893 from 6,729. Tunner earned himself a well deserved nickname: “Tonnage Tunner”. The blockade was eventually lifted on 12th May 1949. The Berlin Wall was actually two walls: an inner wall on the West Berlin side, and an outer wall, on the East Berlin side. 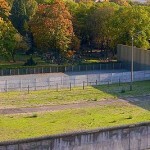 The Death Strip, or border strip, was the area between these two walls. The length of the Berlin Wall was 155km. When did the Berlin Wall fall?